Old Time musician Alan Kaufman and I were in Lowell to judge the 35th Annual Banjo & Fiddle Contest on September 6th. As the audience began to gather, Alan mentioned, “There is someone I want you to meet. 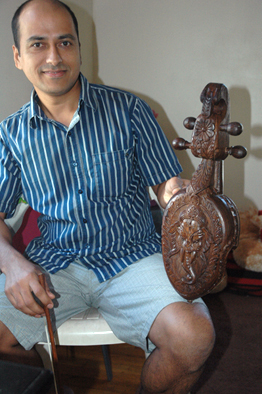 A man from Nepal who plays the Himalayan fiddle (a four-stringed wooden instrument played with a bow), and jaw harp. 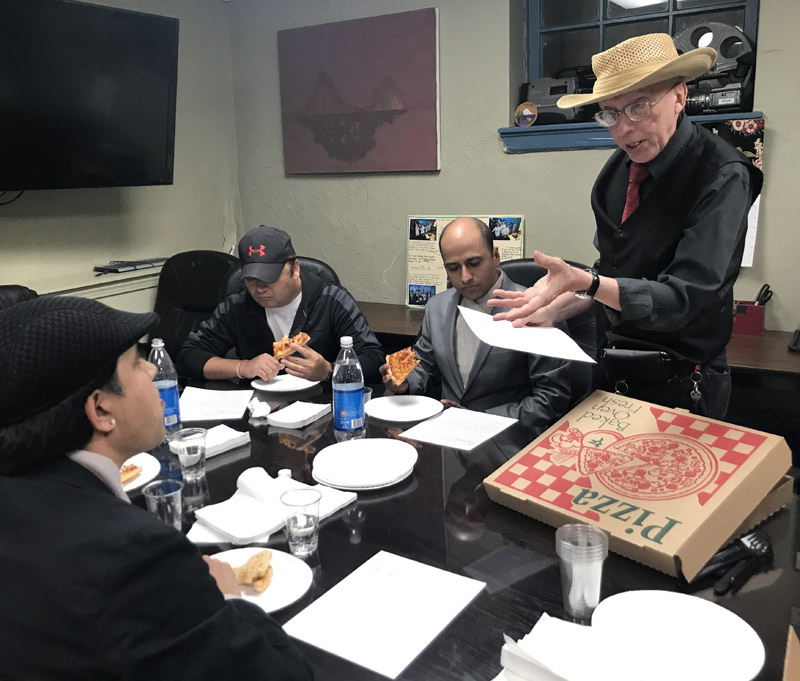 His name is Sushil Gautam.” Alan explained that he had met Sushil at the local Dunkin’ Donuts in Arlington, where Sushil works. A few weeks earlier, Alan had walked in wearing a Banjo & Fiddle contest tee-shirt and the two got to talking. This is when Alan discovered that the man who serves him his ice tea is not only a Himalayan fiddle and jaw harp player, he also helped to establish The Music Museum of Nepal and published a book on the history, ethnic songs, and methods of playing the Nepalese sarangi. Sushil, Alan, and I spoke briefly before the contest began. Although Sushil had brought his sarangi, he was not planning on entering the contest. I told Sushil I’d be in touch soon about interviewing him for the MCC Folk Arts & Heritage Program. He kindly gave me a copy of his paperback, Sarangee, A Guide Book. The book, in Nepalese, was published by Orbit International Education Culture Education Department in Kathmandu, Nepal. 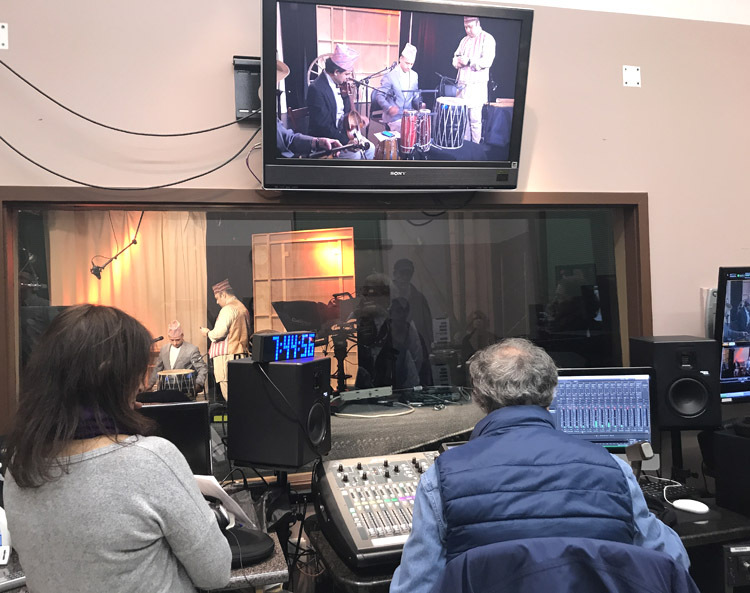 Before walking away, Sushil handed me his business card, saying “This is the view from my parent’s home.” It was a stunning panorama of the Himalayan Mountains with a small village in the foreground. I stared at the picture, worthy of a travel brochure. Wrapped up in that little moment was the price of leaving home. The push/pull factors of limited economic opportunities, family, farm fresh food. . . .Why would someone leave such a place of physical beauty to resettle in a country halfway round the world. Clearly, it wasn’t the job. Or was it? We scheduled a time for me to interview Sushil at his home in Somerville, where he lives with his wife and young daughter. I asked if I could record our interview. He nodded and gestured to a small side table and two plastic chairs. 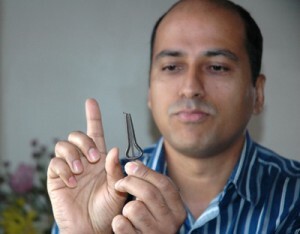 Sushil had been selected by lottery for a green card and the opportunity to work and stay in the United States. Like many immigrants, he and his wife have university degrees, but can only find work in the food services. For now, Sushil is happy with his job at Dunkin’ Donuts, which provides an opportunity to improve his speaking skills in English. He has aspirations of finding a job as a teacher of languages and culture in the future. 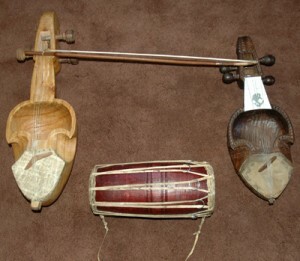 The sarangi is a bowed chordophone, carved from solid or composite wood, rather than pieced together like a violin. It has four strings; nylon has replaced gut (sheep intestine), and a metal string is used for the highest pitched string. 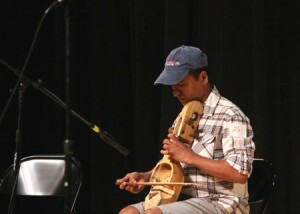 The sarangi is held vertically, much like a South Indian violin, or Chinese erhu. The outer two strings are tuned to an octave; the middle two strings are tuned a 4th up from the lowest string, e.g., G, C, C, G. In western parlance, we’d call this an open tuning, meaning that all the strings are tuned to harmonized notes. 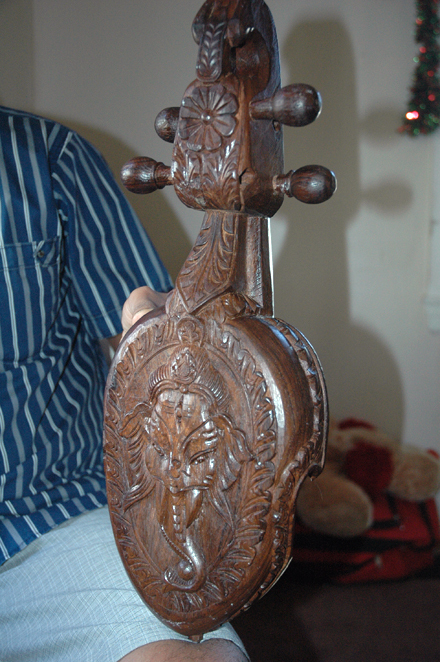 Some sarangi are highly ornamented, with carving depicting the God Ganesha or the Buddha. The Gandharba, a caste of occupational musicians, consider the sarangi to be their instrument. Until fairly recently, it was possible for them to make a living in Nepal. Much like other hereditary musicians, they played a key role in society, traveling from village to village, spreading news and entertaining. In generations past, the Gandharba caste were considered low and experienced discrimination. 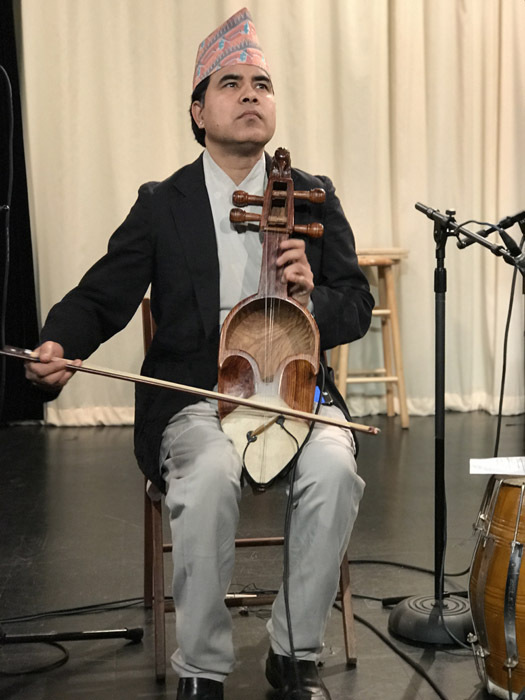 Although Sushil is from a historically higher caste, he plays the Gandharba’s instrument and has worked hard to elevate the musicians’ status and preserve their traditions. 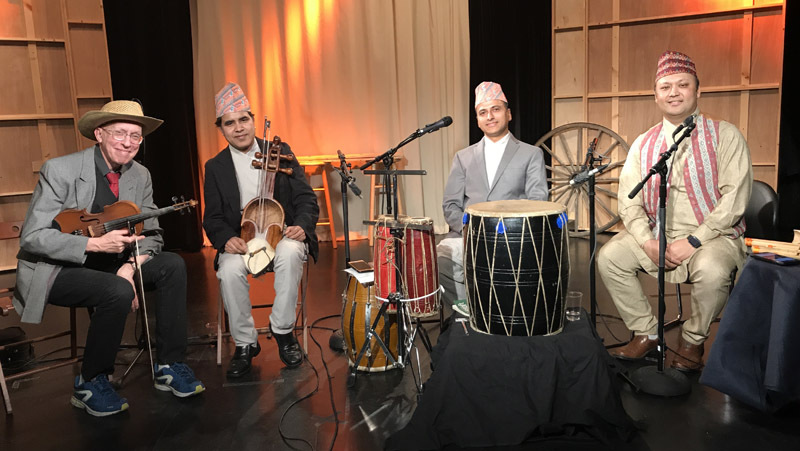 Sushil feels fortunate that he got to study with a very good teacher, Khim Bahadur Gandharba, who is a well-known sarangi player. 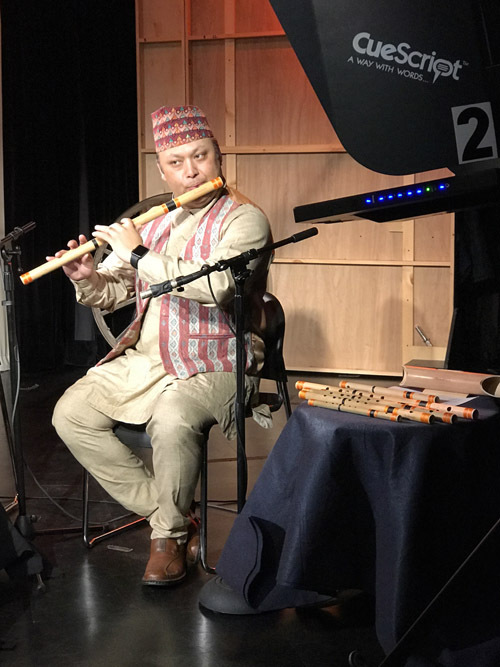 In fact, he was the first sarangi player, selected by the king, to travel outside of Nepal to perform on a royal visit to Hong Kong and China. Today, Khim Bahadur Gandharba is nearing 80, and is no longer physically able to play. 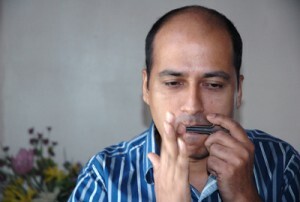 After earning his bachelor’s degree, Sushil moved to Nepal’s capital, Kathmandu, to pursue his masters in music. 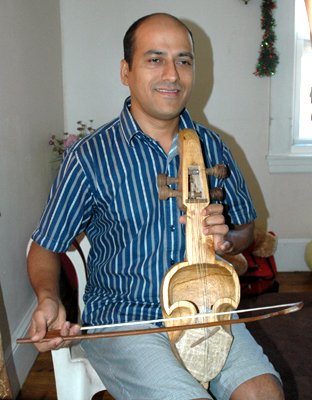 Before leaving Nepal, Sushil was teaching sarangi, performing, and making recordings. He also helped establish the Music Museum of Nepal, and wrote his guide to playing the sarangi. 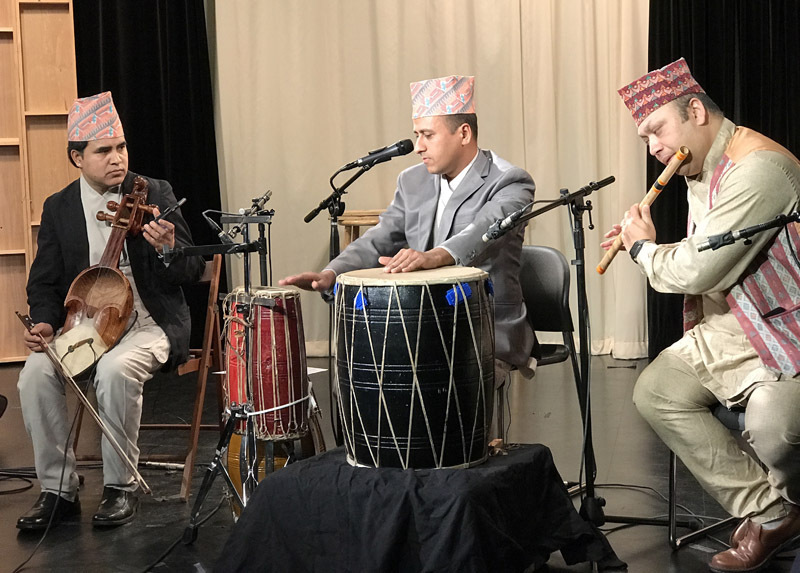 One of his motivations is to change the hereditary system of learning sarangi in Nepal, opening the instrument up to everyone.